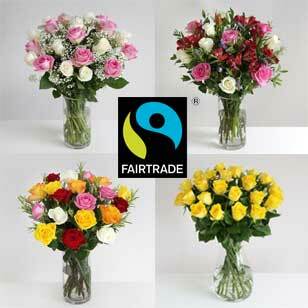 Looking for wonderful winter flowers? 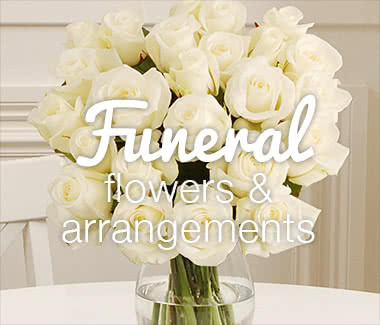 Then look no further than our beautifully fresh flowers. 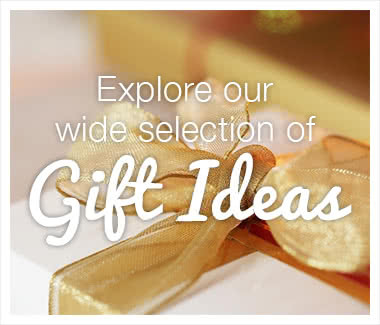 Whether you are looking to warm someone's heart this winter with an extra special flower arrangement or celebrating a birthday or anniversary with a selection of seasonal flowers, we have the perfect gift for you and your loved ones. 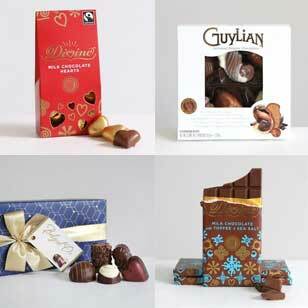 Whatever you choose, we guarantee the recipient will be delighted. The last leaves have fallen and the mellow autumn days are no more. Winter is really upon us with its short days, cold winds, harsh frosts and bare earth and we start to feel a certain melancholy as we huddle indoors to escape the elements. 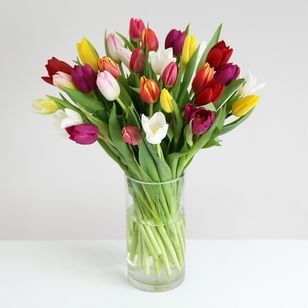 So what better time to cheer ourselves up with beautiful winter flowers? A bouquet of winter flowers can bring colour and life to any room when this darkest and coldest of seasons is upon us; by adding a dash of colour and fragrance to the home with a winter bouquet our moods can be transformed. 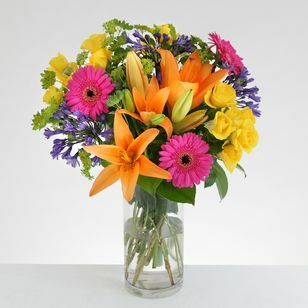 Because there are so few natural colours outside, it is the perfect time to have a bouquet of colourful flowers in your home to provide a warm and welcoming environment. 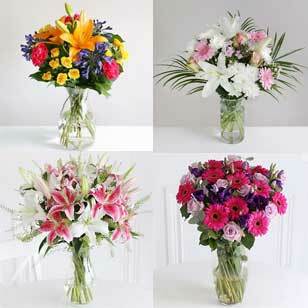 Flowers have both an immediate and a long term effect on moods. 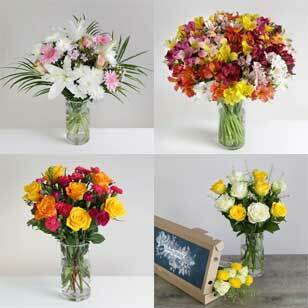 So if you want to brighten someone's day, or even your own, send them a bouquet of our gorgeous winter flowers. Orange and red and golden hues are still popular in winter but, with the crisp white frosts and vivid red berries to be seen everywhere on the trees and shrubs, it suddenly seems the time to send winter bouquets of red and white flowers, which echo the colours we see in nature. 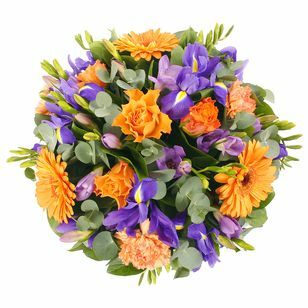 But, sometimes, we want to be reminded of those warm summer days and many tropical flowers, such as ginger and strelitzia, are now available year round and they are also a popular choice for winter bouquets with their hot sizzling colours. 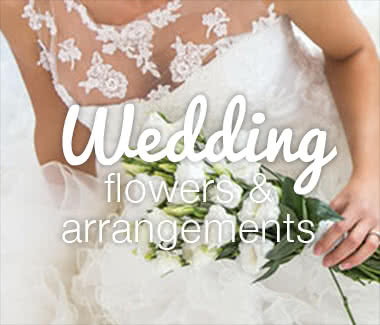 Of course, nowadays, many flowers are available out of their true growing season; however, to get the best value for money – and an even larger bouquet - it's worth choosing seasonal winter flowers. A wonderful addition to winter flower bouquets is the beautiful foliage that grows in abundance in winter; these foliage leaves will add volume, colour and texture to give the bouquets a really stunning seasonal look. Winter flowers need plenty of water and all foliage which might be beneath the waterline should be removed. 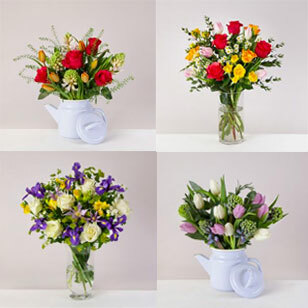 To prolong the life of your flowers avoid placing them in draughts or close to central heating radiators and remember to change the water at regular intervals to keep them fresh. The glorious Hippeastrum, commonly known as Amaryllis, come into their own in the winter months and really are the ugly ducklings of the flower world. When you see them in bud they look large and clumsy covered with a thin brown protective petal. But then they burst into bloom and large, fabulous trumpet-shape flowers emerge. 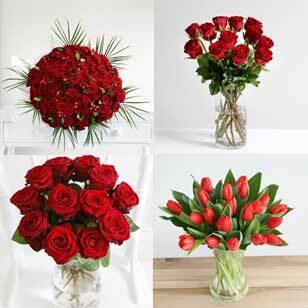 There are several flowers on each stem, meaning that the stem-life can be up to 15 days, if cared for correctly. 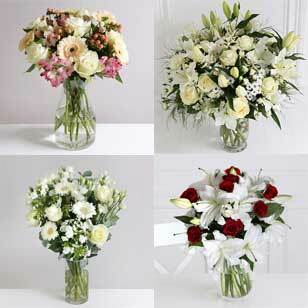 Many colours are available but the pure red or white flowers are the most popular and striking. 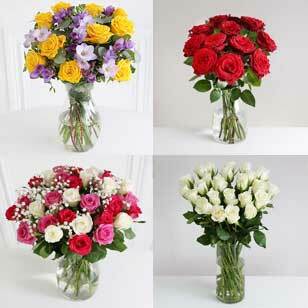 Roses are a perennial favourite and are available throughout the year in a wide range of colours. 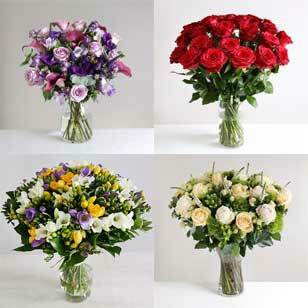 In the winter, the deep red or pure white roses are often the most popular choice but all the golden and russet shades also feature in many winter flower bouquets. Beautiful nodding anemones are also in season now with their showy, brightly coloured petals contrasting with the textured almost black heart. They are very thirsty flowers so need particular attention in our warm winter homes. And, always, Chrysanthemums which are available in almost every colour; one of our favourites is the large white Anastasia bloom which contrasts so perfectly with any red flowers.